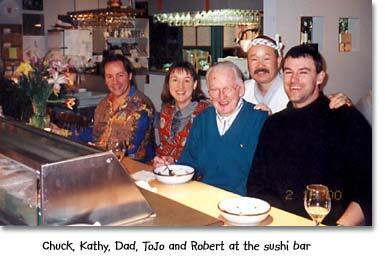 MEDFORD, MASS  After receiving formal permission from the former commodore of the Medford Boat Club, Colleen Sheehan and Chris McCarthy have announced another Sheehan wedding for September 2004. Colleen, 24, the only daughter of John and Lynne Sheehan of Medford, Mass., will be the third Sheehan to marry in September in as many years. She plans a Sept. 4, 2004 wedding at St. Raymond's Church in Medford. Colleen and Chris, 31, went on their first date Sept. 4, 2001. They met while both worked for Choice Logistics. Chris now works for UPS Logistics in Saugus. "They're dropping like flies," Ryan Sheehan reportedly quipped after learning of the engagement. Ryan, a bachelor-guitarist, has watched as Uncle Bob (September 2002), brother John Jr. (September 2003) and now his big sister take the plunge. Chris formally asked Colleen's father for her hand in marriage, then popped the question at a restaurant while both their parents waited outside the dining room. Colleen accepted a diamond ring, roses and the applause of waiters and other diners after Chris, on bended knee, proposed. With the engagement rated as five-hankie, the Sheehan-McCarthy wedding promises to be a minimum eight-hankie affair. There will be lots of bridesmaids, even more Irish people and a huge reception at the Woburn Country Club. 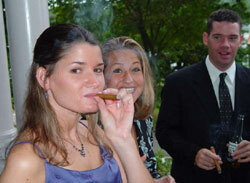 Colleen was a bridesmaid at John and Rebecca's wedding in September 2004 where she was photographed smoking her trademark cigar, which evidently gave Chris a case of wedding fever.